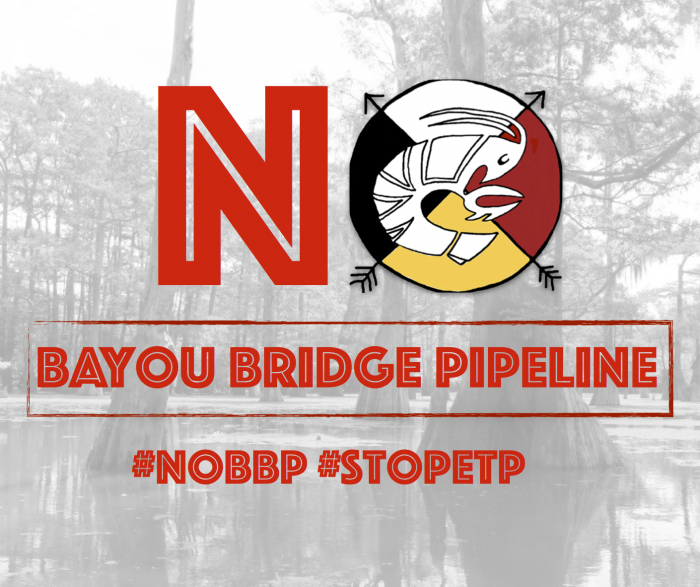 LOUISIANA — Yesterday, the U.S. Army Corps of Engineers granted permits to Bayou Bridge, LLC, a subsidiary of Energy Transfer Partners, to construct a 162.5-mile crude oil pipeline from Lake Charles to St. James, Louisiana. The Army Corps of Engineers refused to conduct a full Environmental Impact Statement for the project, despite pleas for such a study from communities directly impacted by the pipeline. Ruth Breech of Rainforest Action Network said: The U.S. Army Corps of Engineers is contradicting its own mission statement to “reduce risks from disasters.” Flat out refusing to conduct a full Environmental Impact Statement for yet another dangerous pipeline, pushed by a company with a record of disastrous spills, underscores our current systems inability to protect people. Louisianans drinking water is at risk. The climate is at risk. And Indigenous Rights of Free, Prior and Informed consent are being violated. Our opposition is only growing stronger. In May 2017, U.S. Congressman Cedric Richmond (LA-02) wrote a letter to the U.S. Army Corps of Engineers requesting a full Environmental Impact Study for the Bayou Bridge Pipeline. Email ebuckner@earthworksaction.org for a copy of that letter.